Description: The Prant boxes make a nice design showcase cabinet too, with its already ‘done for you’ hole on the sides. 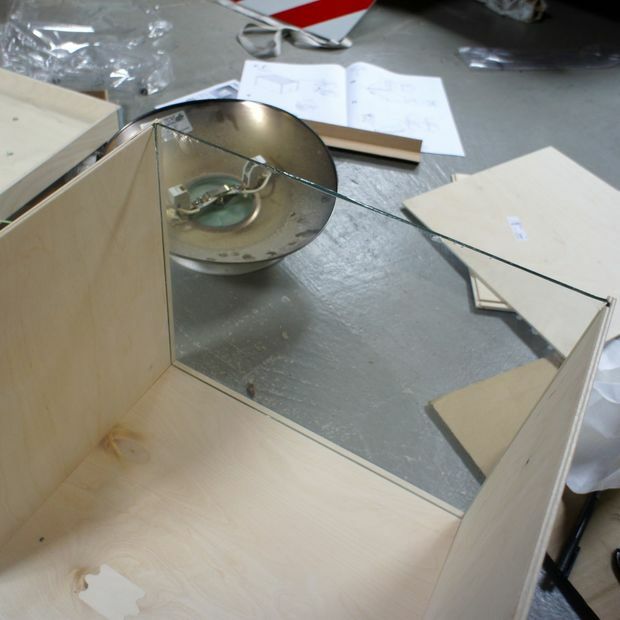 Assemble the boxes but replace the plywood bottom with glass (which then becomes the ‘front’ of the showcase). 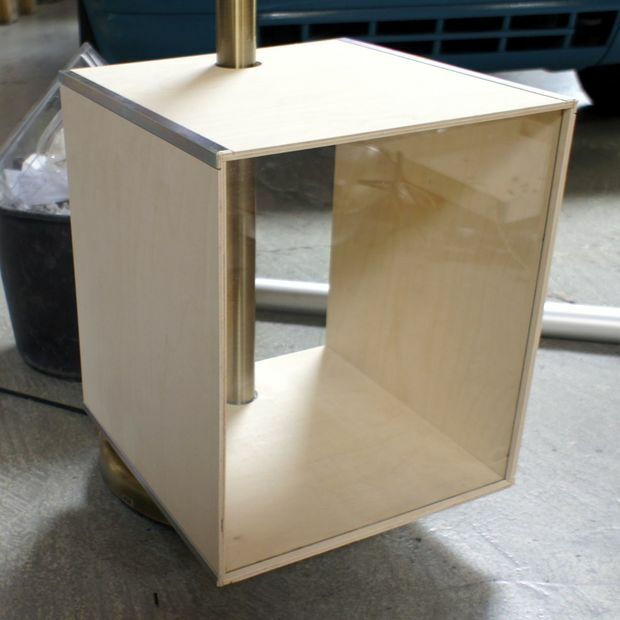 Glass should not be thicker than the original plywood bottom as you will be reusing the same groove to slide the glass in. Thread a box through the pole of the lamp. 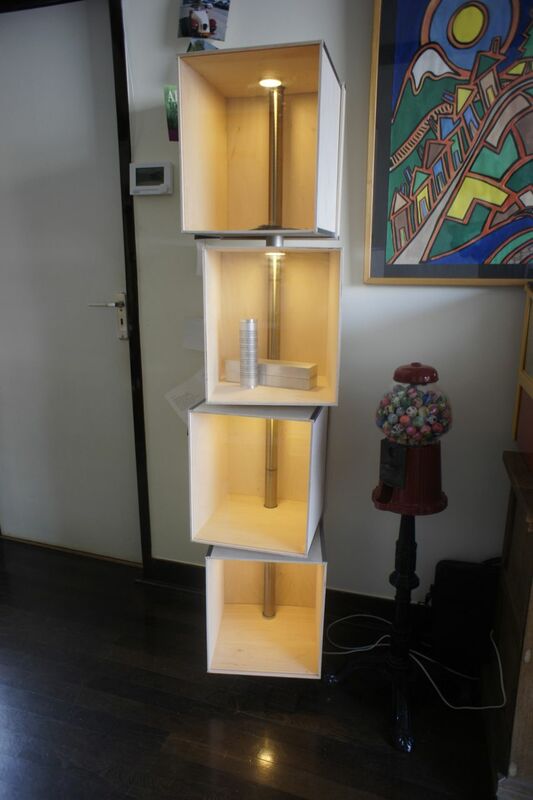 Decide how much space you want in between the boxes and cut some piece of pipe to fit around the lamp post in the required height. 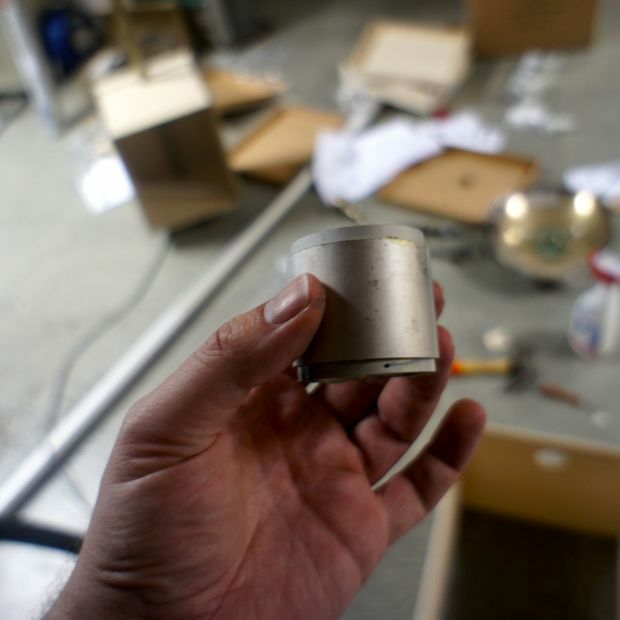 Then thread another box on top of the pipe. Repeat till you have all 4 boxes in the lamp post. Next, mark where to drill holes in the pole to put the wiring through. Drill the holes big enough for the connectors on the wires to go through. Repeat with the other lights (work from the top down). Stick the lights in the boxes with the double sided tape provided. The show case appeared like it wanted to drop forward. It might do so if I would put some heavy stuff in the boxes. 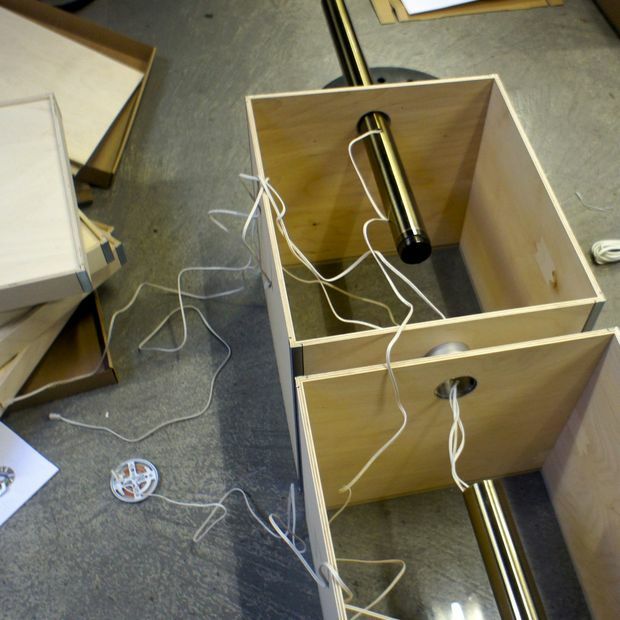 I resolved this by putting a fixed castor wheel underneath the bottom box. Now we can put some cool stuff in the boxes. (through the back) Put the lids on the boxes. Turn on the lights. The design show case cabinet is finished! See more of the show case cabinet.